Chicken being one of the cheaper proteins it seems we eat a fair bit of it. If you don’t use a little imagination it can become a bit pedestrian. 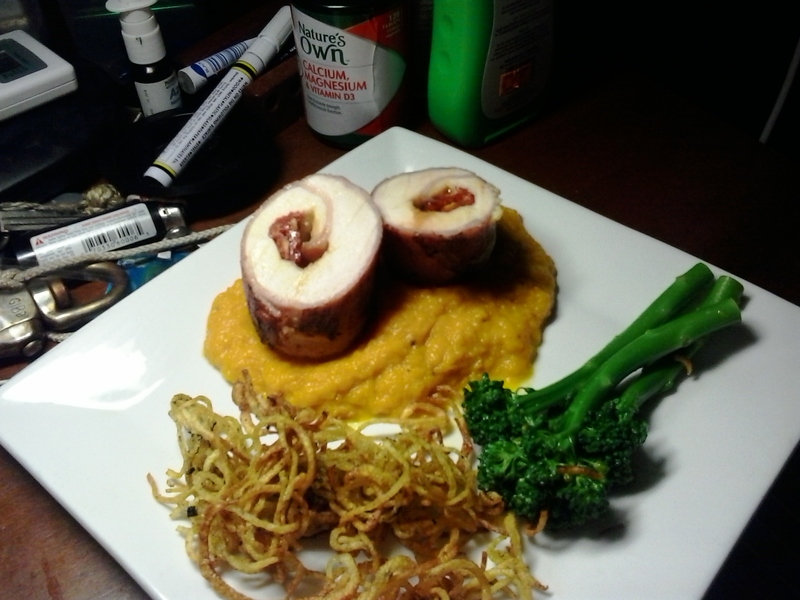 There are 1000s of ways to cook chicken and one way I really like (any opportunity to stuff something) is Roulade. 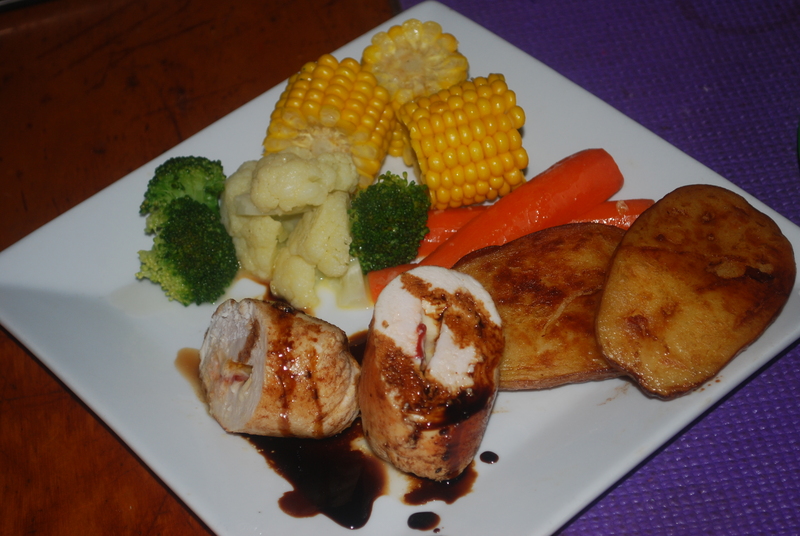 Also called a Ballotine they are easy to make and offer endless variety. Just beat out your fillet between clingwrap then roll with filling inside and tie ends of wrap to contain. Poach slowly in hot water at 60C for 40 minutes or so then pan sear to caramelise the outside. This one I wrapped in bacon then stuffed with sundried tomato, aged cheddar and spiced pear paste. 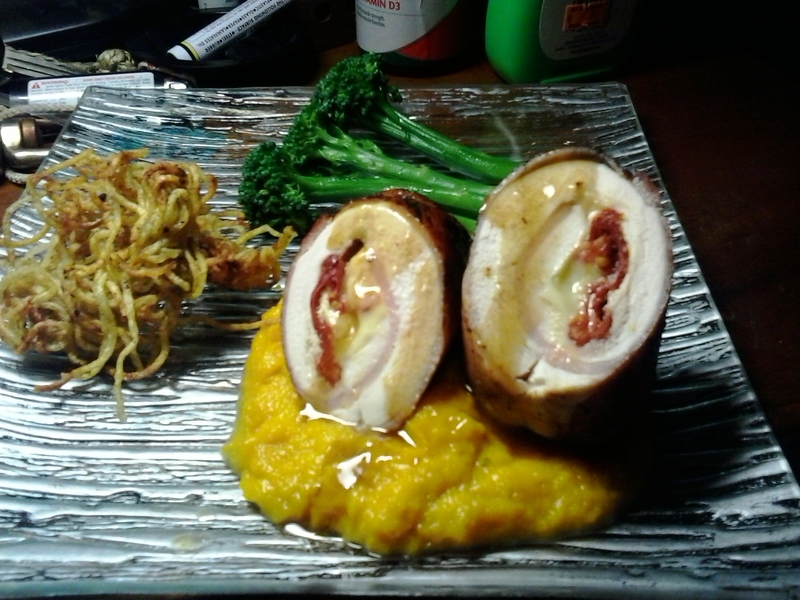 I served it on Moroccan spiced pumpkin mash with steamed brocolini and potato twirls. There is something satisfying about making a roulade/balotine. 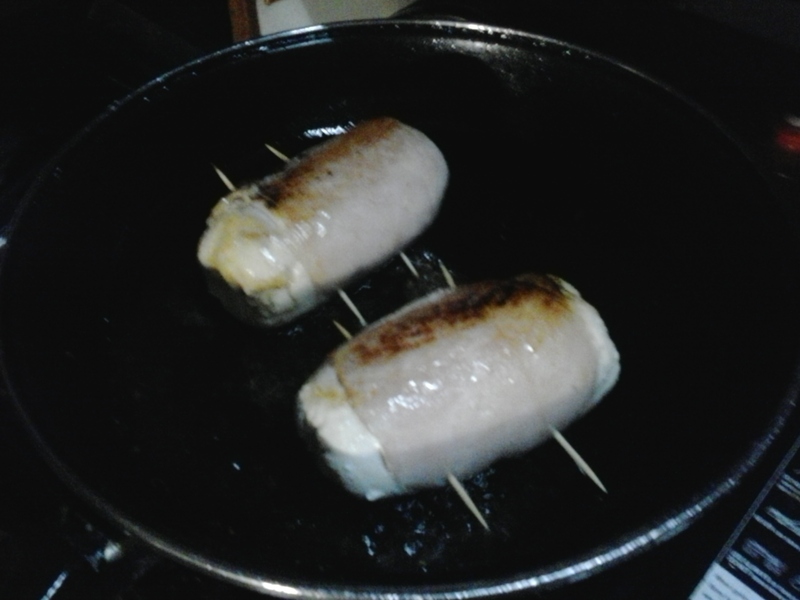 I make them with chicken, pork, beef, fish, well pretty much anything that will roll and hold a filling. They are a great way to tart up a simple piece of protein. Deciding what to stuff them with is often the big challenge. I guess it comes down to what you have and what you like. Certainly you need to match your flavours of filling with the rest of the meal but the options are endless. These are stuffed with the last of my triple cream brie and some roasted capsicum, the sauce is a balsamic reduction. To make them, refer to the post ‘budget to banquet’ and treat them like the de-boned wings I did there. 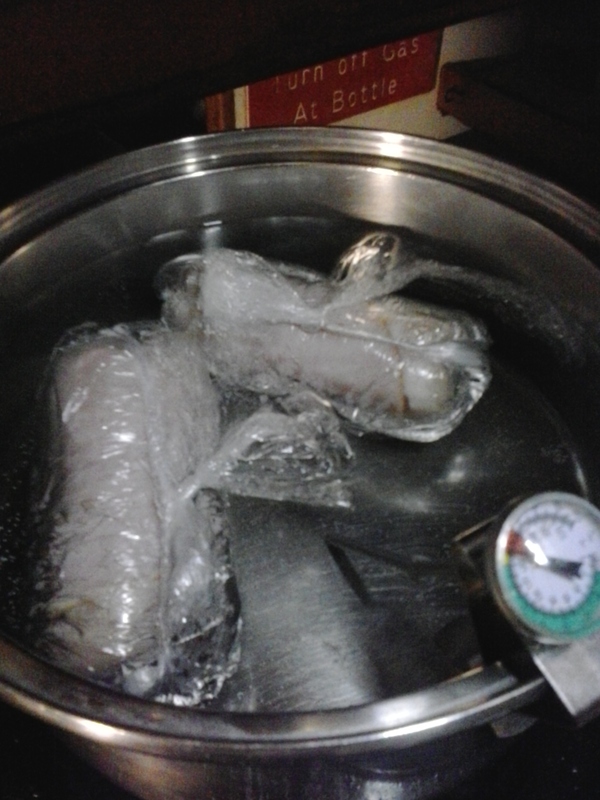 Just cover the meat with clingwrap and beat out to required thickness and roll like the balotines. Poach them in liquid to cook most of the way through and then brown in a pan or oven, or you could have them poached if you want a low fat variant ( I would substitute the triple cream brie if you are going low fat). You could serve them whole, cut like here or sliced into rounds.